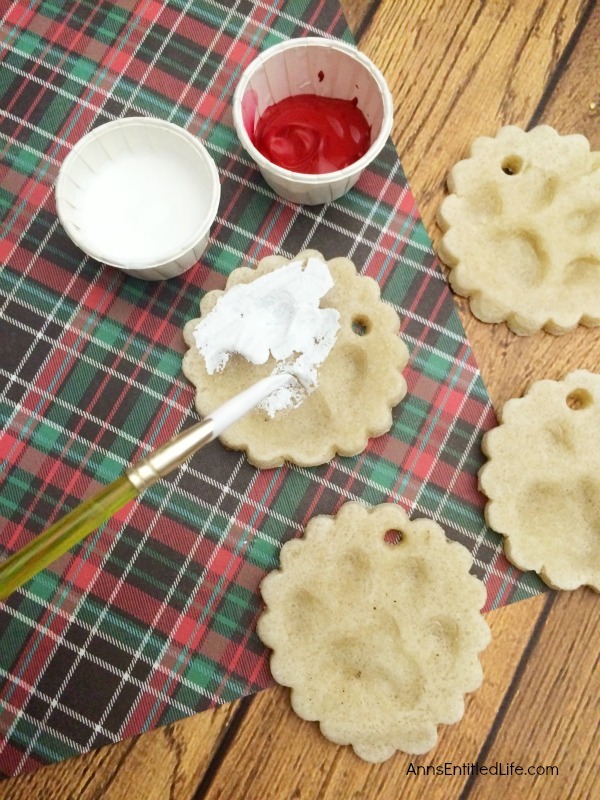 Make Your Own Paw Print Ornaments in just minutes, and cherish the results forever. Now you can decorate for the holidays with a paw print of your favorite pet, without an expensive paw print kit! Follow these easy step by step directions and hold dear the memories of your furry friend for a lifetime. 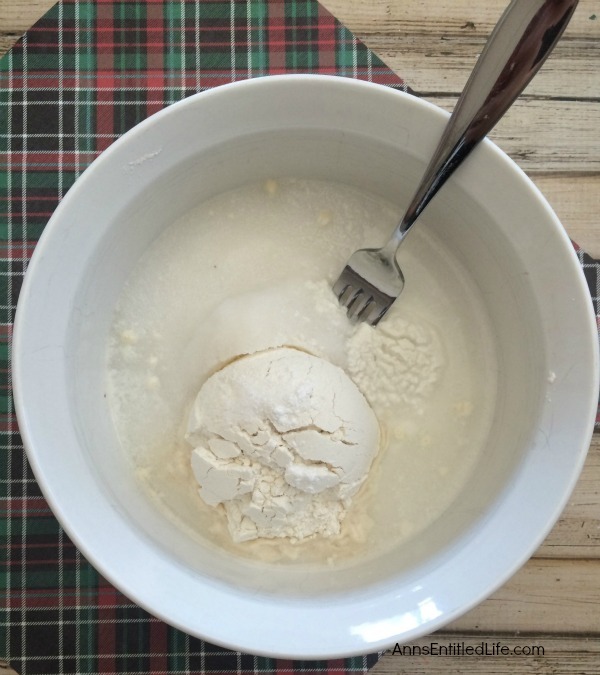 • In a large mixing bowl, combine salt, flour, and mix until you get a thick dough. • Add a little more water if your dough is too thick or a little more flour if your dough is too thin. 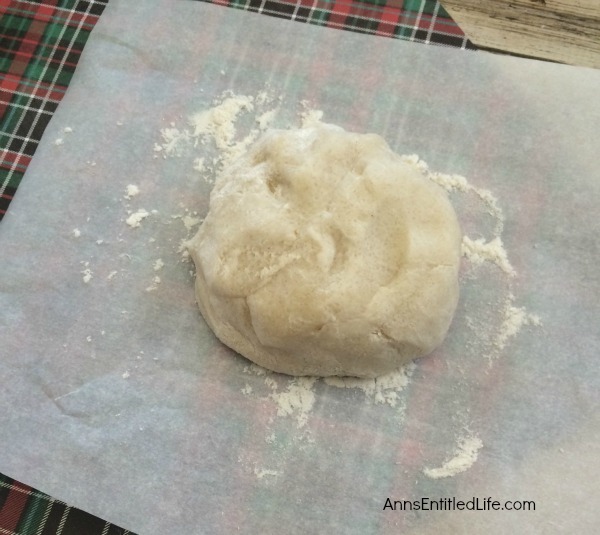 • Place your dough onto a floured piece of parchment paper and roll it out with a rolling pin. 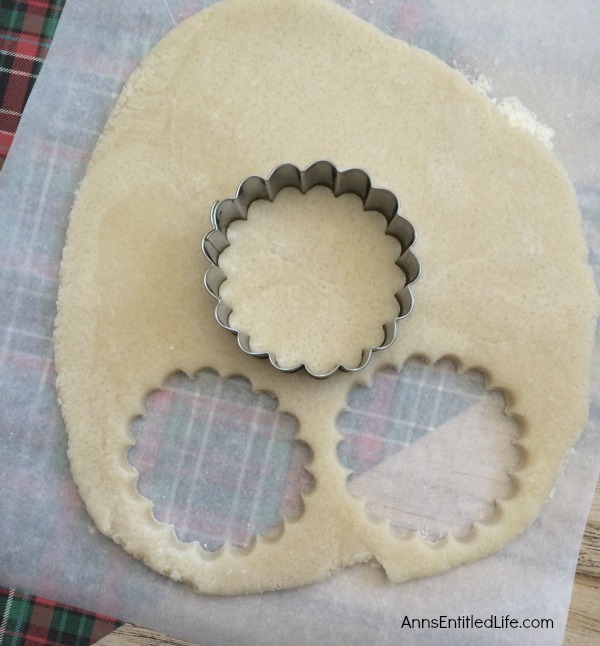 • Cut out several pieces with your scalloped cookie cutter. • Place your dough cut outs onto a parchment paper lined baking pan. • Now your pup’s turn to help, gently take your dog’s paw, and press it onto your ornaments. • Use the tip of a straw to cut out small holes at the top of each ornament. 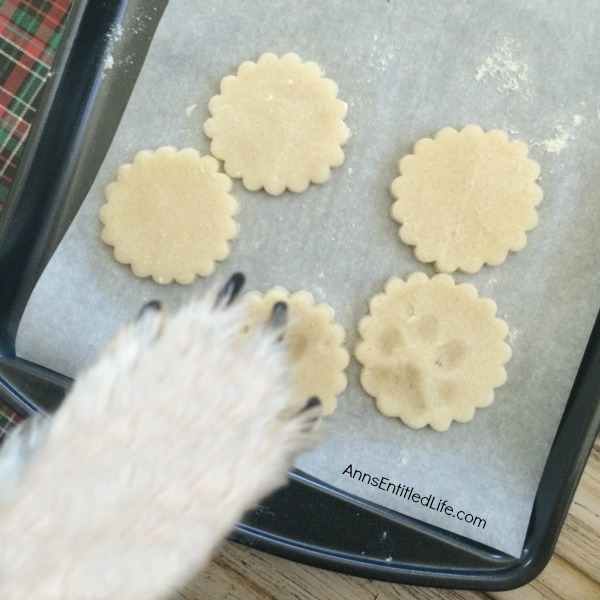 • After your paw print ornaments have baked, let them cool for 30 minutes. 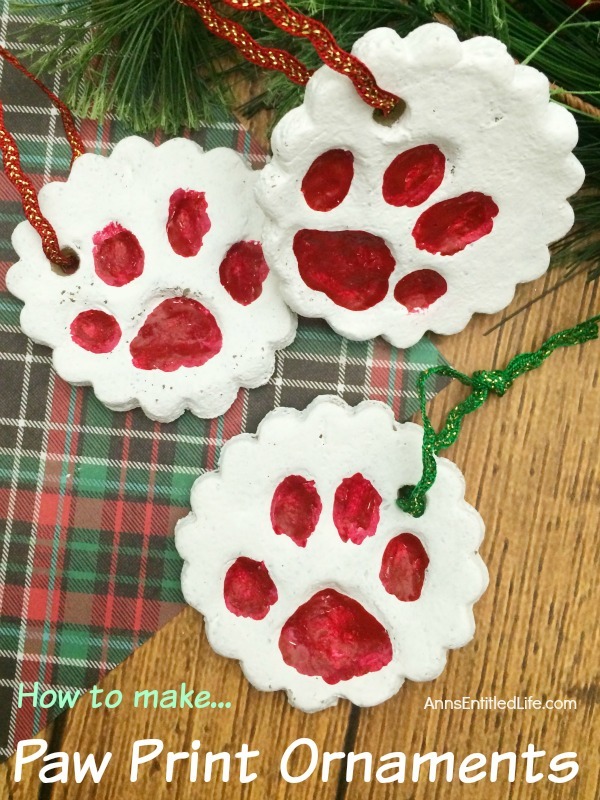 • Now your kids or you can paint the paw print ornaments. Use different colors, add glitter, write names with paint pens, add dates! 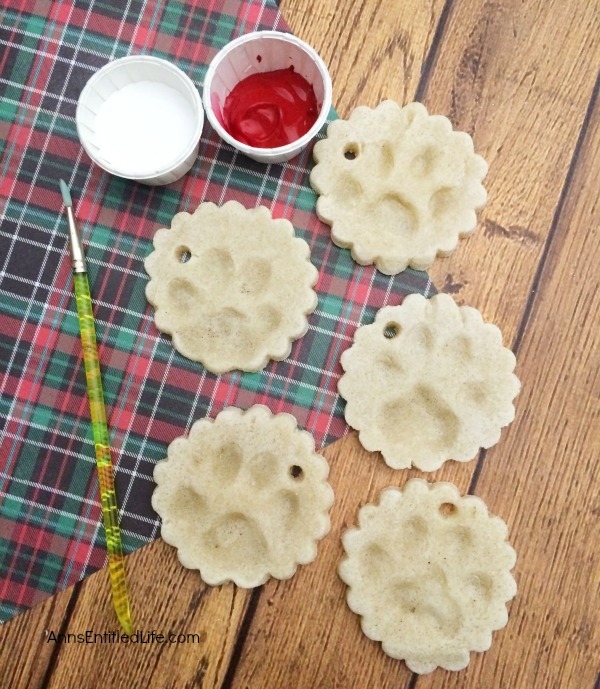 There is no limit to what you can do to decorate these great paw print ornaments. 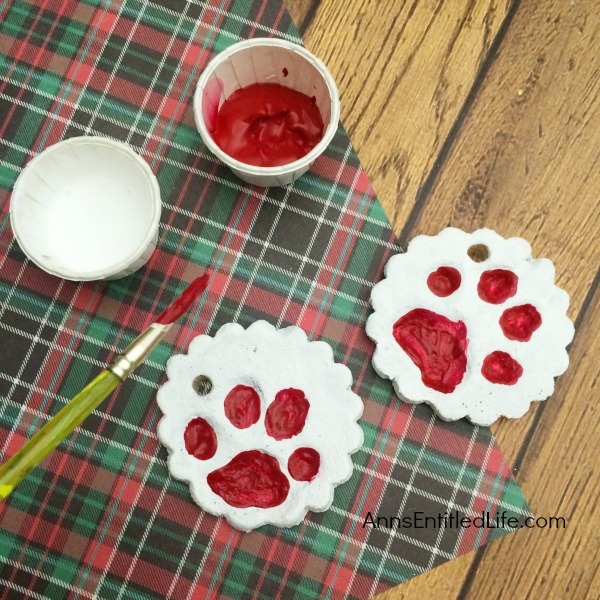 • These paw prints were painted white (a light color) background, and red to emphasize the paw print itself. • Finally, after your paint has dried, tie a piece of string or ribbon in the little hole and hang up for all to enjoy! 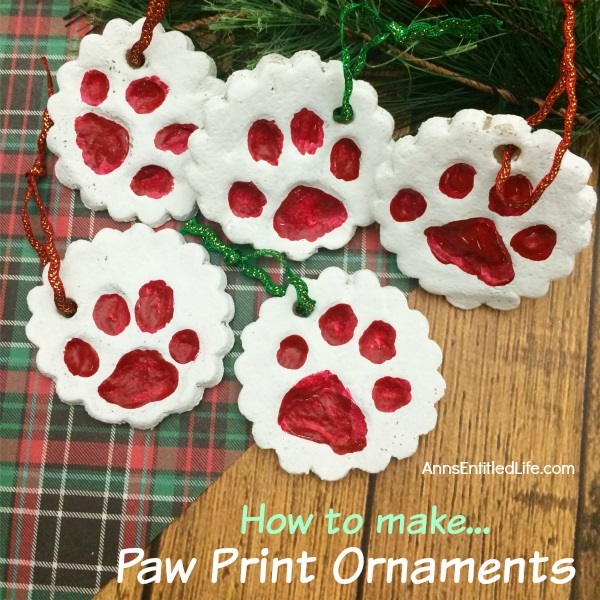 • To print the Paw Print Ornament instructions, click here. 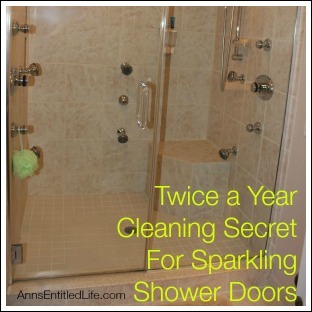 Ahhhhh such a cute idea! I am totally doing this. 🙂 Thanks!! Found you via Mix it Up Monday! I love the idea of adding some paw prints to my Christmas tree! Great idea! 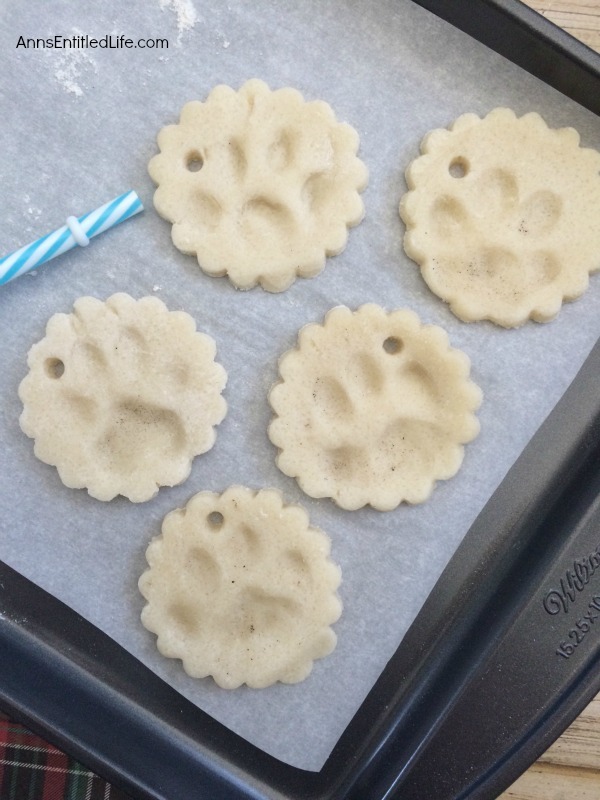 I have done pawprints with ink, but not on salt dough. Great idea! Pinning to my Spoiled Rotten board! So cute! Love the model’s pose there. These are so cute and such a special way to include your furry friends in your holiday decorating! 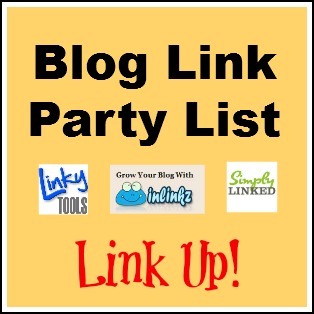 Thanks for sharing with us a the Merry Monday Link Party. Hope to see you again on Sunday night! Wonderful project. Can’t wait to do this. Can you use acrylic instead of enamel? Ellen, I honestly never tried that, so I do not know. How thick do you roll out the dough? Maybe 1/4 inch? That would be perfect, Jill. I hope you two have fun making them, Jill! Let me know how they turned out for you. It’s fun making these ornaments but be sure to keep them well out of the way of your pets. They are deadly if ingested by them. All the salt tastes good but will stop organ function, esp kidneys if not caught right away. 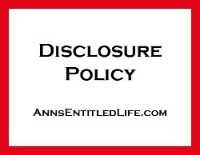 Thank you for the wonderful keepsake idea, Ann. 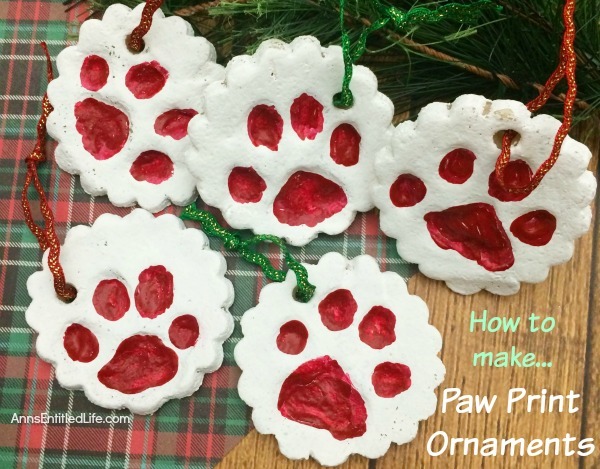 Paw Print ornaments are a great idea for Christmas & if you have a close friend or family member with a 4-legged baby this would be a wonderful gift for them. Will also be a treasured memory for me once my little Pug passes away. She is now 10 yrs. old. Posting came from Home-talk via my e-mail. I hope you have many more years with your little pug pooch, Mary! 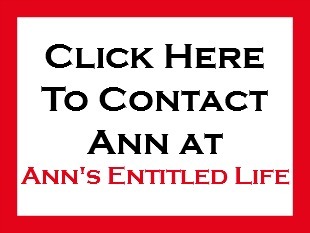 Thank you, Ann. I do too. 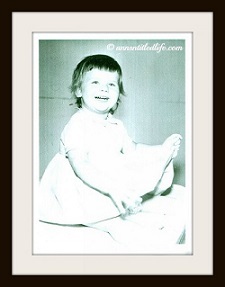 We have no children & both my husband & I are senior citizens. Cookie, (our pug), is the only child we have. She’s just a little spoiled. They’re worth it though for the companionship she brings to us. 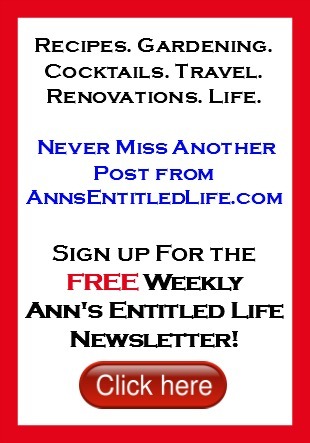 Have a good night, Ann & a wonderful Sunday. Do you use plain flour or selfrising?